The excitement of discovering he had just won more than $2.8 million in the weekend’s Saturday Lotto draw was too much for one Penrith dad, who this morning admitted he hadn’t slept a wink since checking his entry. The thrilled winner held one of the seven division one winning entries across Australia in Saturday Lotto draw 3889 on October 27. Each entry takes home the division one prize of $2,857,142.86. Speaking to a NSW Lotteries official this morning to confirm his win, the happy dad confessed he had had trouble believing he had actually won division one. “I haven’t slept since I checked my ticket,” he laughed. “I checked it on Saturday night. I had a look and I couldn’t believe it. I was shaking. The man shared he had been marking his entry with the same numbers for many years. “I guess these are now my lucky numbers,” he said. “With this prize I know I’m definitely going to buy a house. We’re currently renting. “I’m going to keep working, but maybe travel a bit as well. I can’t stop working – I’m a workaholic. 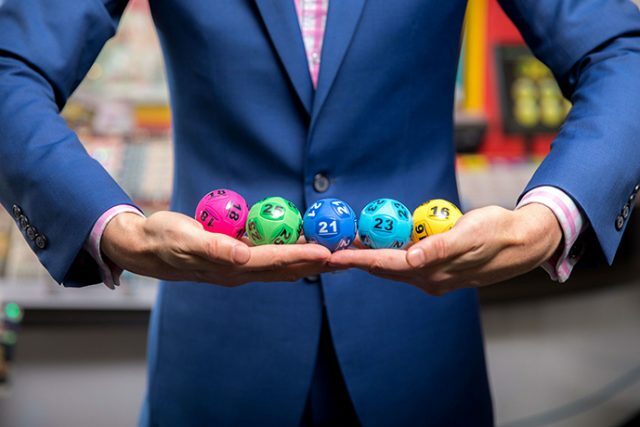 The Penrith resident, who wishes to remain anonymous, purchased his marked 36-game entry online at thelott.com – Australia’s official lotteries.